All content on this website is owned or controlled by Optofluidics, Inc. (DBA Halo Labs). All content is protected by worldwide copyright laws. You may view and copy materials on the public portions of our website for non-commercial, personal and informational use only. No modification or further reproduction of the content is permitted. All copies of this material retain all copyright and other proprietary notices as stated for the original. All trademarks, logos and service marks displayed on our website are the property of Optofluidics, Inc. (DBA Halo Labs) or third parties. 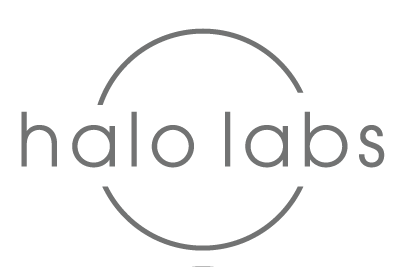 You are not permitted to use these trademarks without our prior written consent from Optofluidics, Inc. (DBA Halo Labs) or the third party that owns the trademark. All information provided on our website is provided “as is” without warranty of any kind. Optofluidics, Inc. (DBA Halo Labs), its affiliates and collaborators disclaim all warranties, express or implied, including those of merchantability and fitness for a particular purpose. Optofluidics, Inc. (DBA Halo Labs) and collaborators shall not be liable for any direct, indirect, special, punitive, consequential or incidental damages resulting from use of our website or the materials, information or hyperlinks contained in it, or on any other hyperlinked website, even if Optofluidics, Inc. (DBA Halo Labs) or its partners have been expressly advised of the possibility of such damages. You agree to hold Optofluidics, Inc. (DBA Halo Labs) and its partners harmless from and against any claims or actions based upon or related to the use of our website or any hyperlinked website. Our website contains links to other sites or addresses on the web. External sites are not part of the website and do not belong to Optofluidics, Inc. (DBA Halo Labs). Optofluidics, Inc. (DBA Halo Labs) does not approve or endorse other websites nor is it responsible for their content. Access to any other website is at your own risk — we provide these hyperlinks merely as a convenience and the hyperlinks are not an endorsement. Descriptions of, or references to products, services or publications within the website do not constitute or imply their endorsement or recommendation in any way by Optofluidics, Inc. (DBA Halo Labs), its employees or contractors. No reference in the website to any specific product, process, or service by trade name, trademark, manufacturer, or otherwise, shall be used for advertising or product endorsement purposes.